Join Mouse on a daring adventure through the deep, dark wood in Tall Stories’ magical, musical adaptation celebrating the 20th anniversary of this classic picture book! Searching for hazelnuts, Mouse meets the cunning Fox, the eccentric old Owl and the party mad Snake. 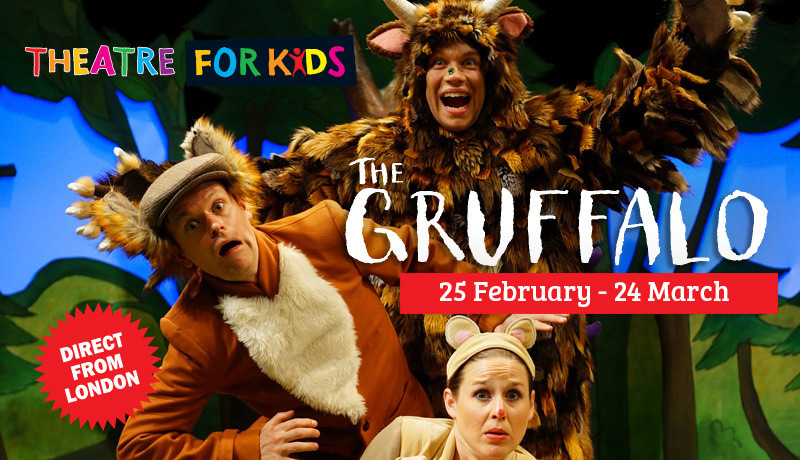 Will the story of the terrifying Gruffalo save Mouse from ending up as dinner for these hungry woodland creatures? 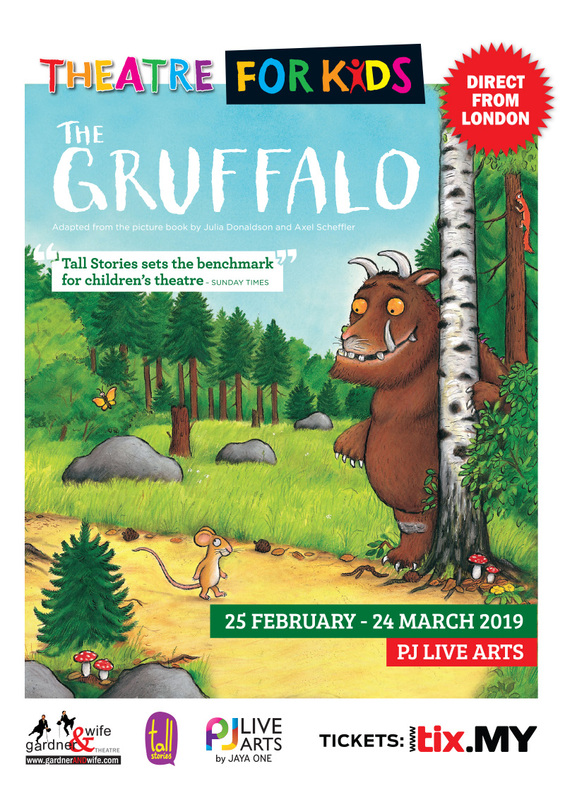 After all, there’s no such thing as a Gruffalo – is there? Join Mouse on a daring adventure through the deep, dark wood in Tall Stories’ magical, musical adaptation celebrating the 20th anniversary of this classic picture book by Julia Donaldson and Axel Scheffler. Parental Advisory: 3 years and above.